Meghan Chase has never fit in at her small-town high school, and now, on the eve of her 16th birthday, she discovers why. When her half brother is kidnapped, Meghan is drawn into a fantastical world she never imagined--the world of Faery, where anything you see may try to eat you, and Meghan is the daughter of the summer faery king. Now she will journey into the depths of Faery to face an unknown enemy . . . and beg the help of a winter prince who might as soon kill her as let her touch his icy heart. 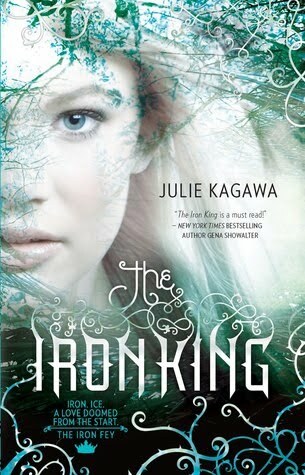 The Iron King is the first book in the Iron Fey series. The Iron Fey series has been taking the world by storm. It seems everywhere I looked I'd find mention of it, so I finally resigned myself to digging up a copy for myself. After reading the book, I am left with mixed feelings. To be quite honest with you, after all the hype about this series, I expected more. The story is imaginative and rather clever, but I could not connect with it. The book was beautifully written - the imagery was extremely vivid and the characters were wonderfully detailed. 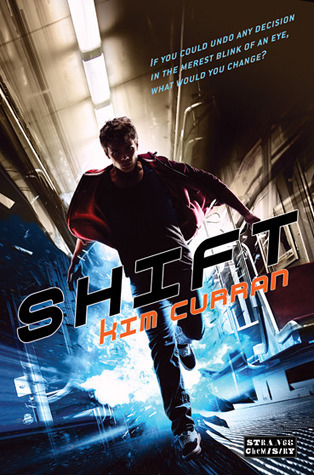 The heroine of the story, Meghan Chase begins the book as a typical teenage girl, who is just about to turn sixteen. Her life turns upside down when her little brother is kidnapped and taken to the faery world. Left in his place, is a changeling; a horrid, dangerous, vile little creep who reminded me a lot of the demon girl possessed girl from the Exorcist. With the help of her best friend, who turns out to be none other than Robin Goodfellow (Puck from a Midsummer's night dream), Meghan ventures into the world of faery to rescue her little brother. From the beginning of the book, I had difficulty warming up to Meghan. I just did not find anything extraordinary about her - in fact, to me she was almost annoyingly ordinary. There just wasn't anything to distinguish her from all of the other teenage heroines in supernatural young adult books; nothing to make her stand out. Honestly, I do not remember a whole lot about her character - except that she was fiercely loyal and rather determined. I did however take to Meghan's best friend and partner in crime, Robbie/Puck. He was extremely charming and protective of Meghan; even when it caused him a lot of grief. He directly defies his King's orders multiple times in order to please and protect the Meghan. Which brings me to another problem I had with this book - how can Meghan not see that Puck loves her? I just cannot buy it and it really irritated me to see him hurt, especially when Meghan is just playing dumb. In fact, the majority of the relationships in this book were a little off for me. Although I like the idea of an Ash and Meghan romance (who doesn't like a pair of star crossed lovers), it was too rushed and unbelievable for me. First of all, their families are sworn and natural enemies. Then, there is the minor fact that he almost killed her and her best friend. In fact, he repeatedly says he might kill her and definitely will kill Puck. But, he just flashes a smile her way a few times and Meghan seems to forget about it. Then there is the reverse of his - Ash's prospective. He goes from this cold reserved Ice Prince (no pun intended) to being madly in love with her. I just do not buy it. However, there were good parts to this book as well. My particular favorite part of it was Grimalkin - the snarky and sarcastic cat. He is one of those brilliant characters where you never quite get their motives; so they are constantly surprising you. He acts as Meghan's tour guide of sorts; navigating her through the lands of Faery - for a price of course. I loved this cat more than I could explain. He was always there with a snide comment and often voiced my issues with the other characters. Like I said before, the book was beautifully written. All of the traditional monsters can be found within the story; goblins, trolls, bogeymen, faeries, mermaids and many other fantastic creatures lurk between the pages. Despite the familiarities of these characters the plot is highly imaginative. I will say though, as I read I kept getting flashbacks to the 80's movie, Labyrinth, with David Bowie and Jennifer Connolly. The baby brother gets stolen and carted off to some mythical world, the big sister follows to rescue. Then the King of the mythical world offers her his hand in marriage? But honestly, that is where the similarities end - the Iron King was intriguing and unique. I enjoyed the Iron King, but I found myself wanting more from it. Sadly, I fell victim to the hype surrounding the book and was slightly let down. The book did deliver; just not at the caliber I expected. I am excited to see what becomes of Meghan and Ash and their fill-fated romance. Totally agree with your review. I had issues with Meghan too and loved Grimalkin. I enjoyed the descriptions in this book of the Fey world, and of course it helps that Ash is super hot. :) I didn't really like that her friend turned out to be Puck, such a famous character. I also do not feel comfortable with how these creatures are so old but yet like Meghan. However, the story is meaningful and interesting which makes the book an enjoyable read.